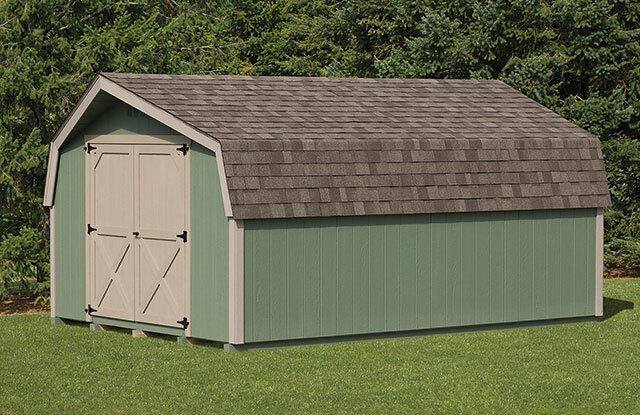 Structures from our Regular Mini Barn Series include an assortment of storage sheds and garages. 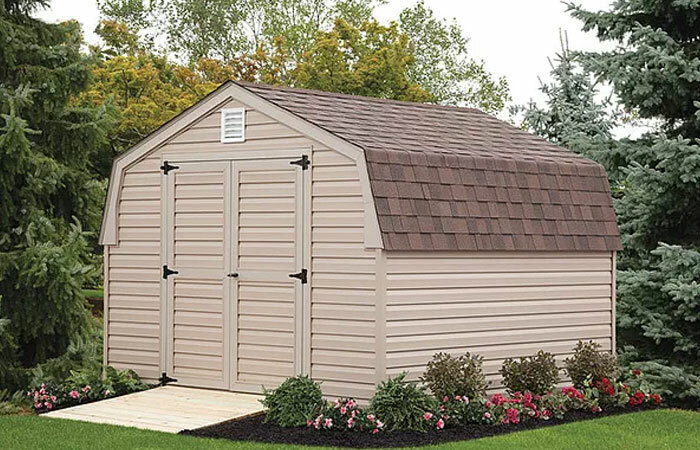 Because of the versatility of our mini barn sheds, you can have a convenient place to store your garden tools, park your motorcycle or car, store your lawn equipment, or store your outdoor furniture in fall and winter. 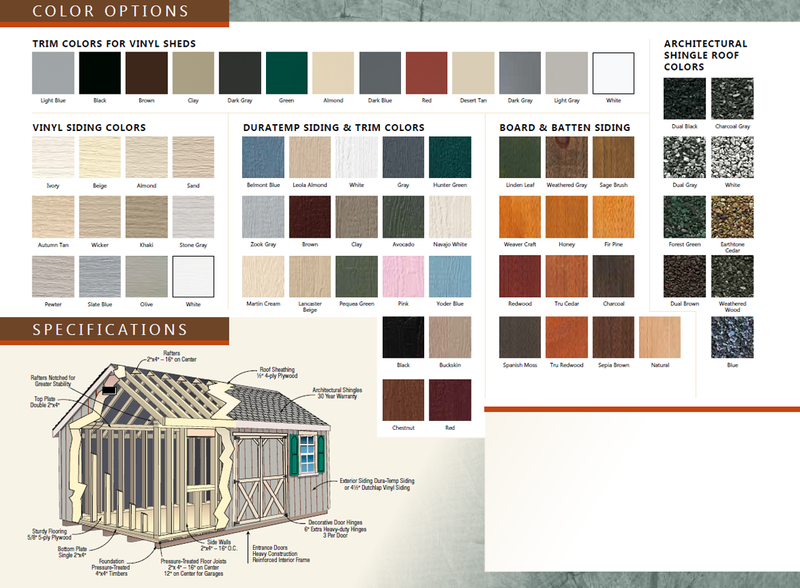 Our Mini Barns are available in various colors and include options such as Duratemp siding and weathered wood roofs. 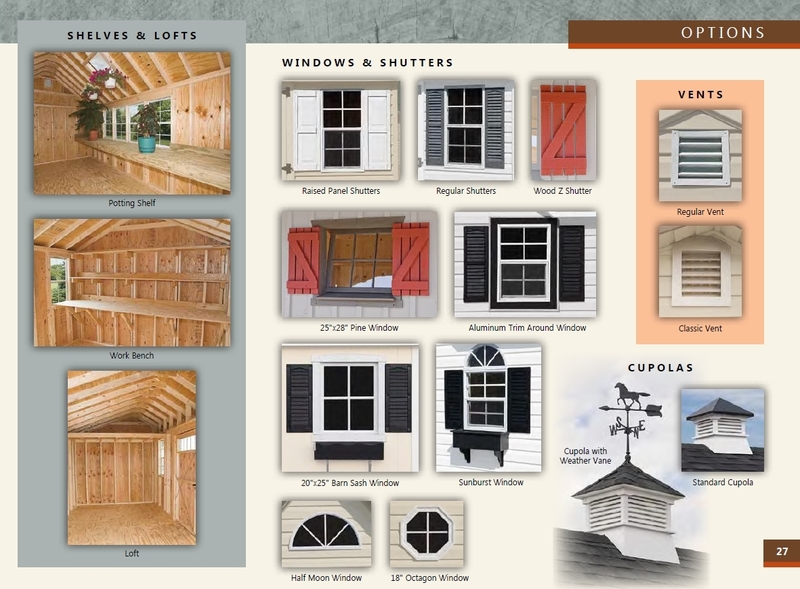 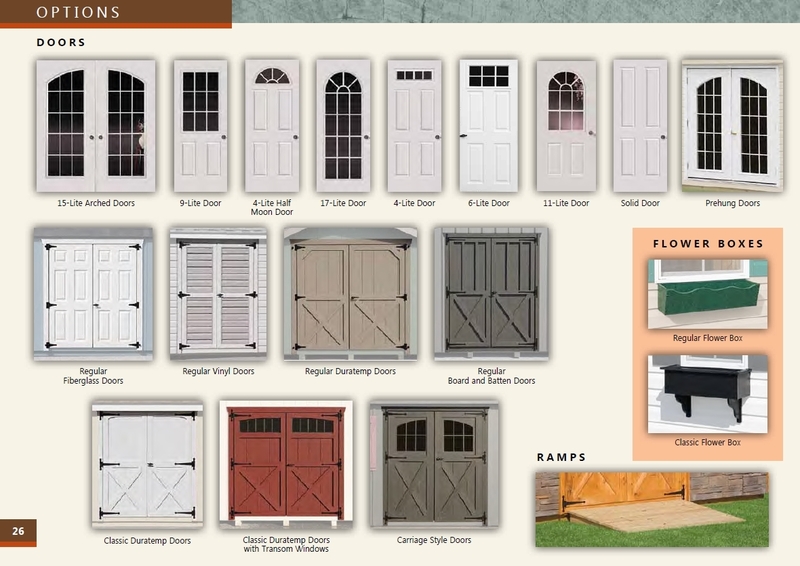 Mini Barn standard features include: 30-year architectural shingles, double doors, and 18″x23″ windows.